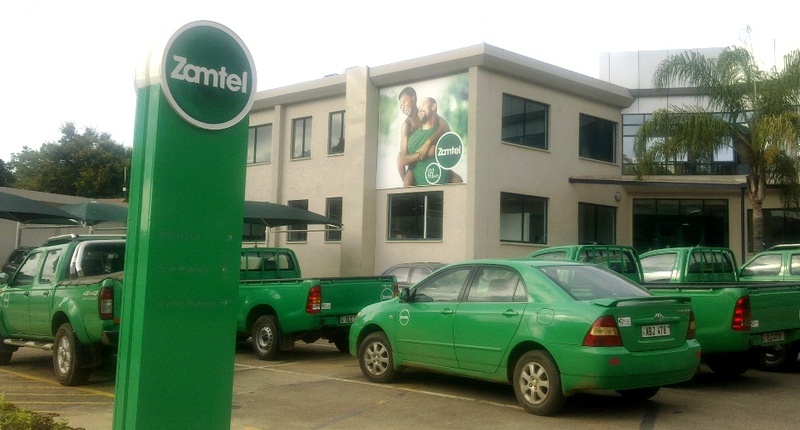 An audit report on government owned ZAMTEL has revealed that the company has been making huge losses since 2011 when the PF government grabbed the parastatal from Libyan investor Lap Green. The report which is part of the latest Auditor General’s report on parastatals carried out in July last year and released this week shows that ZAMTEL is technically insolvent. A Statement of Comprehensive Income shows that the company recorded losses of K50, 648,000 in 2011 and K224, 039,000 in 2012. It also shows that although revenue had decreased from K573, 120,000 in 2011 to K390, 381,000 in 2012, the cost of sales had quadrupled from K4, 968,000 in 2011 to K19, 426,000 in 2012. From the statement of financial position, shareholders’ funds had greatly reduced from K624, 258,000 in 2011 to K385, 980,000 in 2012. The report shows that technically, the Company was insolvent and required urgent recapitalisation by the Government who was the only shareholder. In 2012, Zamtel had a current ratio of 0.62:1 implying that the company could not settle current liabilities as they fell due. The ratio was below the recommended 1:1 in 2012. The company had a negative working capital of K183, 031,000 in 2012 meaning the company’s current assets were insufficient to cover the company’s short term liabilities. As of October 2014, the current auditors of Zamtel had not yet finalised the 2013 Financial Statements due to the lack of official position from Government on how the K1, 521,211,274,372 for the settlement of liabilities prior to privatisation of Zamtel to Lap Green. In 2010, prior to the privatisation of ZAMTEL, it was a requirement in the takeover agreement for Government to settle all forms of debt owed by Zamtel before the actual takeover and Government funded amounts totaling K1, 521,211,274,372. An analysis of the statement of financial position as at 31st December 2011 and 31st December 2012 revealed that Zamtel treated this settlement of liabilities by Government as a Capital Reserve but since 2011 and 2012, there had never been any official position from Government as to whether it was a Grant or a Loan to Zamtel. The International Accounting Standard (IAS) 20 states that a Government Grant that becomes receivable as compensation for expenses or losses already incurred or for the purpose of giving immediate financial support to the entity with no future related costs shall be recognised in the income statement of the period in which it becomes receivable and that Grants related to income are government grants other than those related to assets. Grants related to income are sometimes presented as a credit in the statement of comprehensive income, either separately or under a general heading such as ‘Other income’; alternatively, they are deducted in reporting the related expense. During the period under review, Zamtel had no ICT Strategic plan and no approved information security policy as of August 2014 resulting in procedures related to backups, password management, change management, mobile computing, user acceptance administration, disposal of IT equipment and privacy issues being conducted without any policy direction from the board. As of August 2014, Zamtel did not have a Continuity Plan (BCP) and Disaster Recovery Plan (DRP) and related infrastructure necessary to support continuity of business operations. The audit report shows that if adverse conditions occurred including fire or significant damage to infrastructure such as the office buildings housing the customers’ records or data center significant financial and information losses would be incurred. It is, therefore, unlikely that Zamtel would be able to resume normal operations within a reasonable time period and recommended that management should ensure that a BCP and DRP are developed and implemented. On a review of the asset register for Zamtel revealed that the Company had one hundred and fifty nine (159) properties without title deeds. While these properties exist, there was no proof that they belonged to Zamtel as the company did not hold title to them. The Lands Act No. 29 of 1995 requires that institutions or individuals owning land should have or possess title deeds as proof of ownership.